AMD CEO Lisa Su revealed yesterday that gaming Radeon RX Vega graphics cards will be released right after the Frontier Edition. The news was broken by Su at the 45th annual J.P. Morgan Global Technology, Media and Telecom Conference. She provided additional detail into AMD’s long-term roadmap that it had disclosed earlier last week at its Financial Analyst Day. Among the new details revealed by Su was the announcement of scheduled 7nm CPU & GPU product tape outs later this year. Su reiterated at the event AMD’s commitment to launch the first Vega based product dubbed the Frontier Edition in the second half of June. She also announced that the company will be launching Vega into all product segments including Radeon RX products for gaming, Radeon Instinct for AI acceleration and Radeon Pro for professional graphics over the next couple of months. The team appears to be well positioned to address the enthusiast market and the high performance computing class market. During Analyst Day you didn’t talk much about the timing of your next generation enthusiast gaming platform. I think it’s been referred to out there as the Radeon RX platform using the Vega architecture. When should we expect the Vega based gaming cards to be launched and how should we view Vega’s performance for this segment relative to I think NVIDIA just launched their 1080 Ti platform back in March. We’re very excited about Vega. Vega is a brand new architecture and actually has really the world’s most advanced memory architecture for GPUs. What we did announce at our analyst day was that the first shipping Vega will be the Frontier Edition which will ship with 16GB of memory and will ship towards the latter half of June. You will see the enthusiast gaming platform, the machine learning platform, the professional graphics platform very soon thereafter. And so we will be launching Vega across all of the market segments over the next couple of months. This transcript is the property of wccftech.com, any use without appropriate citation is strictly prohibited. Earlier last week Raja Koduri, Chief Architect Radeon Technologies Group at AMD, revealed that gaming oriented Radeon RX Vega graphics cards will in fact be faster and less expensive than the Frontier Edition targeted towards professional content creators. The Radeon Vega Frontier Edition graphics card is going to empower the pioneers creating the next generation of gaming experiences, but it does beg one question: Can you game on a Radeon Vega Frontier Edition? The answer is yes, absolutely. But because this graphics card is optimized for professional use cases (and priced accordingly), if gaming is your primary reason for buying a GPU, I’d suggest waiting just a little while longer for the lower-priced, gaming-optimized Radeon RX Vega graphics card. You’ll be glad you did. Consumer RX will be much better optimized for all the top gaming titles and flavors of RX Vega will actually be faster than Frontier version! 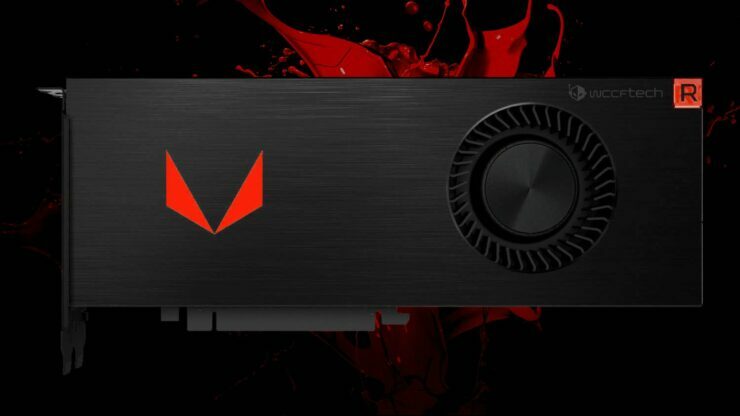 With the Radeon RX Vega Frontier Edition launching in the second half of June and AMD rolling out its entire Vega discrete graphics lineup over the next couple of months we could see the bulk of those launches take place in July. At which point AMD will be competing at the high-end once again with NVIDIA. The company demonstrated Vega’s gaming performance in an impressive 4K demo at its Financial Analyst Day last week. This is the latest and one of several 4K gaming demos that the company publicly showed over the past several months. The results did look impressive, punching over GTX 1080 territory. Although we’d have to reserve judgement until we get one in the labs to test, which shouldn’t be long from now.